Last week I made the bold claim that the Dereani complete fanbook translations would be making their way to the blog every Friday/Saturday, and in a move that defies all odds, I’ve managed to follow up on that this week! The goods this time come in the form of a roundtable with Dereani’s character designer and chief animation director Yuusuke Matsuo (aka Fugo) accompanied by key staff member and ROCK lover Toshifumi Akai, who give us some delectable details regarding the lead up to the show being greenlit, the production schedule itself, and how much they love playing mobage. Yuusuke Matsuo: Animator who started at Kyoto Animation in the early 00s, then became freelance once he finished working on Lucky Star. After that he was often seen on projects led by people who also left the studio at the time – Black Rock Shooter’s OVA was his first gig as character designer after all – but nowadays he’s established his own set of industry contacts. Works with many studios, but majorly A-1 where he was one of [email protected]’s main animation directors and Cinderella Girls’ character designer. The latter is his biggest project to date alongside Yama no Susume. Toshifumi Akai: Animator and occasional director and storyboarder. Joined the industry through Studio Takuranke, but quickly moved onto bigger companies. Started getting noticed when working with Gainax, and finally got his chance to debut as character designer on Sora no Woto. 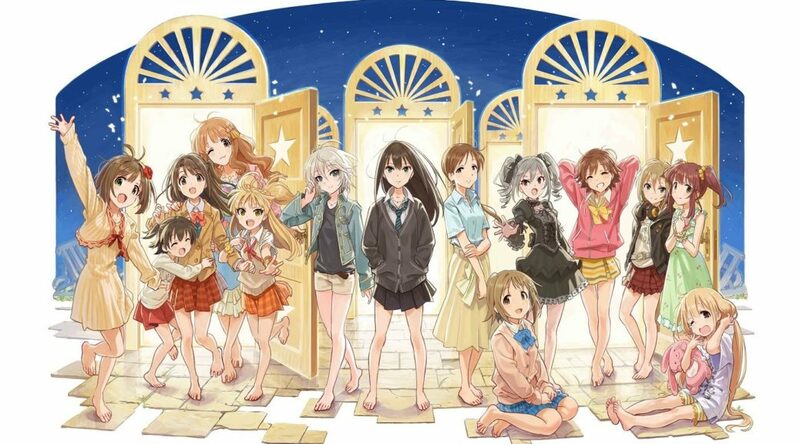 Despite having no roots at KyoAni unlike most of Cinderella Girls’ main staff, it was his passionate love for their work that lead him to redesign the cast to resemble Horiguchi’s work on K-ON!, a bit of a cause of controversy back then. 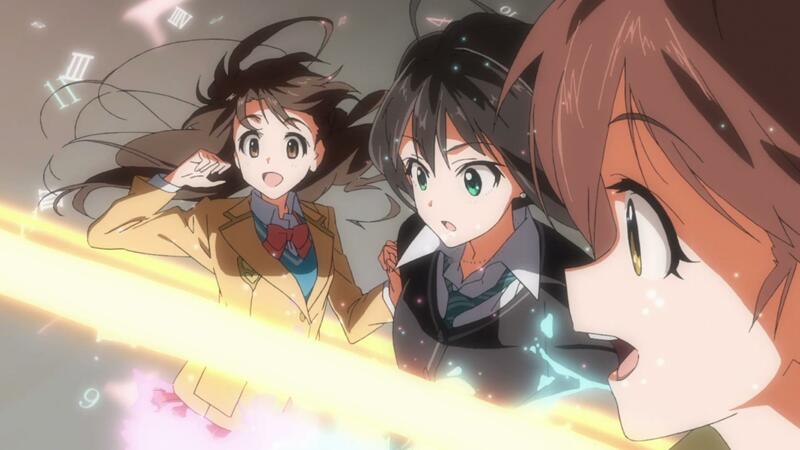 Later he happily agreed to work with her original designs for the Kokoro Connect anime, and traces of her style can still be seen on his work nowadays. Also an A-1 regular, where he’s been core staff on the [email protected] and character designer for Magi. Despite being a solid director, he rarely handles that task – and mostly just for these projects he’s very involved with. 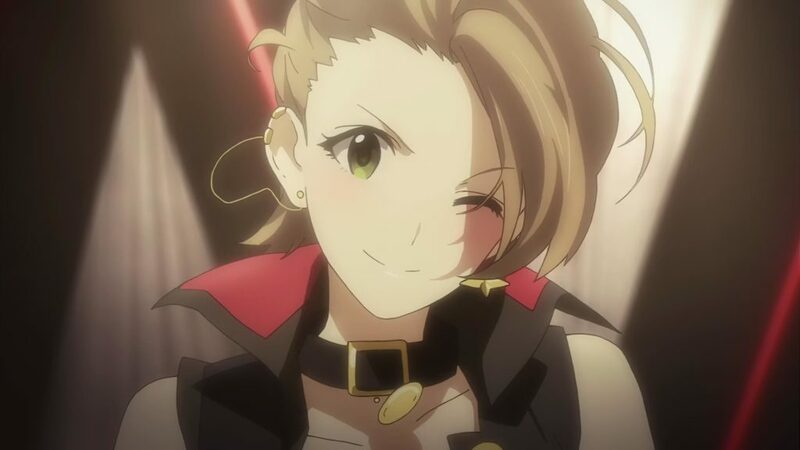 — Both of you were involved with Animas as well, so let me ask about your impressions of Cinderella Girls before work on the adaptation started. Matsuo: My gateway to Cinderella Girls was actually through the CDs as opposed to the game itself. I’d heard about it a number of times through adverts and the like, but never really picked it up back then. That all changed when I listened to the CDs and noticed how unique the characters featured in them were, which prompted me to check the game out and end up getting addicted to it. I got so deep into the rabbit hole that I started bugging Fukushima (Yuuichi) about the possibility of adapting it, and after enough tries he eventually told me to give it a rest, haha. Matsuo: I mean, it doesn’t take a genius to realise that adapting material like that to anime would be ridiculously hard. (Laughs) I refused to yield despite that though, and made sure to mention that it could be real interesting if Takao were directing it. Persistent as I was though, the fact that it ended up happening surprised me nonetheless. — I take it you were over the moon when the project got the go-ahead? Matsuo: I was, but I’d be lying if I said I wasn’t worried at the same time, haha. Takao being so up for it definitely took me by surprise at the time as well. Akai: It was pretty hard to imagine how it’d turn out back then, especially when you’ve got characters with quirky speech styles like Miku running about nya’ing it up, not to mention Kirari. Admittedly those are a minority amongst the cast, though. Matsuo: Another issue was that the game rarely shows the cast interacting with each other. Akai: It’s mainly focused on interactions between individual idols and the Producer, so yeah, visualising an actual story out of that wasn’t easy. Well, minus the part where it’d have some heavy focus on drama. That much was obvious with Takao at the helm. Matsuo: Speaking of which, the image boards she came up with at the start of the project ended up serving as a pretty major guideline for where to take the show. — Whenabouts did you get the chance to start working on the show, Akai? Akai: Hmm… A while after Magi was over and done with, I think? Matsuo: You did leave briefly to do the ED for Yama no Susume S2 actually, didn’t you? Akai: Oh right, so I did. I remember you telling me to get back to Dereani after helping you out with that, haha. — Had you played the game at all at that point? Akai: I’ll be honest here and say that I was more of a Million Live fan back then, haha. 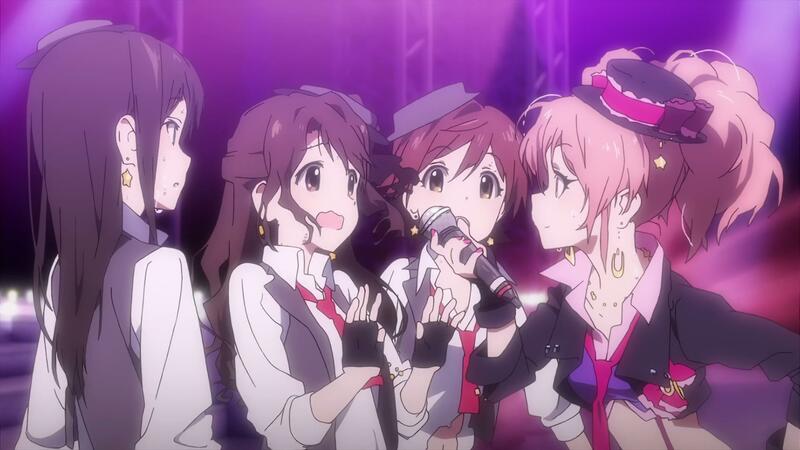 I’d listened to the music from Cinderella Girls, but never really touched the game. I decided to give it a shot going into the anime though, which worked out pretty well. Matsuo: You went real hard on it at one point. Matsuo: Yeah, I was genuinely surprised that you ended up getting on my level. — What made you want to work on the show in the first place? — I guess it didn’t take much convincing then, haha. Moving on though, where did your work as character designer for the show begin, Matsuo? Matsuo: Our first priority was putting out the 2nd anniversary PV before moving on to the show itself. Picking out which characters we’d use there was important since they’d also be the characters we centre the show itself around. Admittedly it was tough going for me since I was out of my element. Matsuo: Character designs aren’t exactly my forte in the first place, and even worse was that I didn’t exactly find it easy to draw these characters. I still really wanted to go through with it despite that, though, and the amount of time I’d put into the game itself meant I could use that experience to my advantage as well. — What were some of your priorities while adapting the designs for the show? Matsuo: The main goal was to make sure they were as reminiscent of their original designs as possible; that meant staying true to the super minor differences in eye details, hair details, etc. Technically I shouldn’t have done that because it just meant way more work for me, but alas. Matsuo: There’s a ridiculous number of characters when you include everyone not in Cinderella Project, all of whom have pretty unique designs. It’s important to get across said distinctions in each and every character for the people that’ll be drawing them for the first time, so yeah, that messed me up pretty bad at the time. Akai: You got told to redesign the Producer a fair bit early in production as well, didn’t you? The biggest issue back then was whether or not we’d really be able to pull things off with him looking so stern, which resulted in plenty of discussions between Takao and Ishihara regarding it. — What were your personal thoughts in regard to his character? Matsuo: I actually thought it was pretty great. You could differentiate him from Animas‘s Producer easily as well, so even better. Admittedly though, the fact that he’s a man of little words had me a bit worried in regards to how he’d interact with the rest of the cast. — Not only that, he’s also not prone to changing his facial expression much. Matsuo: It’s not like he’s emotionless or anything either, he just has a hard time showing them, but that makes it difficult for those around him to understand what’s going through his head. Obviously we planned for that considering you learn more and more about him as the show goes on, but it didn’t change the fact that working with him had its tricky parts, so the best way to get a proper grasp on him was to just into working on the first episode, really. Anyway, I get the feeling most of us had a pretty rough time figuring out how to draw him. — Did that apply to you as well, Akai? Matsuo: It usually ends up looking pretty comical, yeah. Matsuo: Takao wanted him to look a bit less cartoony even if it resulted in a much plainer design, so yeah. — The show also introduces Mishiro, another character original to the show. How were details on her design and the like decided? Matsuo: Takao already had a pretty solid idea on where to go with her, so I basically ran with that. She’d be closest to the step-mother if we’re speaking in terms of Cinderella characters. Akai: Her design’s a bit reminiscent of Maleficent as well. The funny thing is that pretty much everyone who saw Takao’s initial design for her agreed that Tanaka Atsuko’s voice was the first thing that came to mind, and lo and behold, she actually ended up becoming the voice actor for her in the end. Akai: The thing with Takao is that she always gets super attached to her characters. In fact, it’s easier to just outright say she loves them way more than anyone else ever will. That’s probably why she doesn’t want to portray any of them as pure evil. I mean, Animas had Kuroi just being a completely awful human being at all times, but here in Dereani she was adamant that Mishiro’s actions were justified. I’m pretty sure she wanted the viewers to understand that, too. — Allow me to shift the discussion towards the show’s production itself by asking when you finally got a solid idea as to where it was going. I assume it was when work on the first episode finally went underway? Matsuo: I started feeling pretty good about everything by the time the storyboard for the first episode was done. That let us get a pretty good grasp on the Producer and new generations’ interactions, and most importantly, it just seemed really interesting. Akai: I don’t think any other episode even came close to how well crafted that first episode was. Everything about it was just insanely good, and Matsuo even corrected pretty much every single key frame from it. That’s no doubt one of the reasons it ended up as good as it did. Matsuo: That’s the only episode where I was able to AD the entire thing, actually; all the others I only managed to do bits and bobs. That episode starts off with the Onegai! Cinderella performance as well, which was being worked on separately at the time. Thing is though, I had to check over it at the same time as the rest of the episode regardless of that, so it felt more like I was working on the OP rather than another part of the episode itself. — That was a pretty tough period in terms of the production schedule as well, wasn’t it? Matsuo: I pretty much crashed right after finishing work on the OP and ED, only to be woken up immediately after by Fukushima (Yuuichi) asking me about episode 3, haha. Akai: It was the most important one in terms of the earlier episodes, after all. It’s the first one with an actual performance, too. Akai: That’s the whole reason I started off with episode 4, actually. I wanted to avoid working on anything too heavy, haha. — You directed, storyboarded and AD’d that episode, didn’t you? Akai: Yup. The one issue there though was I did so while work on the first episode was still ongoing, so I didn’t get to see Matsuo’s take on the Producer at all. I pretty much went into it blind, so looking back on it now is kinda painful, to the point where I try to avoid doing so as much as possible. (Laughs) I mean, there are bits of it that I like, but overall I feel like I have to apologise for the quality of it. Matsuo: I couldn’t have been more thankful to you, though. I didn’t have time to cover for everyone while those early episodes were getting worked on, so being able to leave that entire episode in your hands was a massive relief for me, haha. — Well, that was certainly interesting. Apologies for changing the topic, but can I ask which parts stood out most for both of you? Matsuo: I’m rather fond of Akane and Mika’s little exchange in episode 3. Akai: The high-five followed by the fist and elbow bumps? Matsuo: Aye. That cut really stuck with me thanks to the detail Kouno (Megumi) — the AD for that episode — poured into it. Other than that, though… Obviously I enjoyed all of the main story stuff, but episode 8 as a whole was one of my favourites. Akai: Hard to go wrong with that one, haha. Matsuo: It’s definitely one of the episodes we managed to round off best, I’d say. Ideally I would’ve been able to put more time into the art itself, but even then I’m fairly sure it did a good job of getting Ranko’s cuteness across. — How about you, Akai? Akai: The ED’s probably my favourite part of the first season. Both the song and the visuals are great. Matsuo: I’m rather fond of those lyrics myself. Akai: Even the storyboarding for it’s really nice; hard to not smile at everyone just happily going home together. — What about the second season? Akai: I’d probably have to go for episode 19, which I both directed and storyboarded. Matsuo: A fitting choice considering most people think of you when * (Asterisk) gets brought up. Akai: I’ve been a fan of Riina’s Twilight Sky for a while now, so that helped. Not to mention the fact that I caught myself thinking about how great Miku is while working on episode 4, haha. That’s why I made it a point to put myself forward for an episode involving both of them once I knew they’d be forming a unit together. I can honestly say I did everything I wanted to with that episode, too. — And what would that entail? Akai: I got Natsukichi (Kimura Natsuki) in there for one, not to mention some live guitar action and a rock version of ØωØver!!. The storyboarding was done with Twilight Sky‘s lyrics in mind, too. — It was a nice episode focused on adolescence, I’d say. Akai: It really was. I even found myself wishing my youth were like that, haha. Episodes 17 and 18 were pretty touching too, so I wanted 19 to have more of a refreshing feel to it. In terms of episodes that weren’t my own, I really loved episode 20. The one where Anastasia gets told to join Project:Krone and opens up to Minami about it. Matsuo: That one manages to keep you on edge without being too direct about it. Akai: It’s not like anything crazy happens in it, and there aren’t even any scenes that allow for the art to really shine, either. But even then I can’t help but love it for some reason. …Maybe it’s because Ohtsuki Yui turns up in it? — Ahaha. What was it like working with Takao as director, then? Akai: It always felt like she just let me did as I please, surprisingly enough. Possibly because she was just too busy with other episodes. Matsuo: Well I mean, you’re generally someone that can be left to their own devices without issue, especially when it comes to people that’ve known you as long as we have. As for Takao, she certainly has a way of leaving her mark on everything she works on. Obviously that came through in both episodes 1 and 7 considering she did the storyboards for them, but then there’s stuff like the way she represented that post-live experience in episode 13. Akai: Stuff like reading the fan letters definitely stood out. Matsuo: For sure. Not to mention that scene where they’re all sitting backstage with their legs exposed. That cut where Rin gets on her tiptoes is still one of my favourites, even. Helps that the key animator for the scene was good, too. — Between the teaser visuals, key visuals and BD cover illustrations, Dereani‘s had a plethora of promotional material between its initial announcement and now. Tell me, what was your main focus while drawing these? Matsuo: I pretty much just ran with the ideas Takao provided me with for the first three key visuals. She gave me a rough sketch to work with for the first BD cover as well, and made sure to emphasise that I make it seem like they’re floating in the air. The rest of the covers after that were left entirely to me. — Did she give you any instructions regarding their posing, expressions etc? Matsuo: There were positioning and posing instructions in the form of silhouettes for the first BD cover’s rough sketch, which helped me out a lot. Coming up with all that yourself takes up a fair chunk of time, so that allowed me to focus on just drawing it. 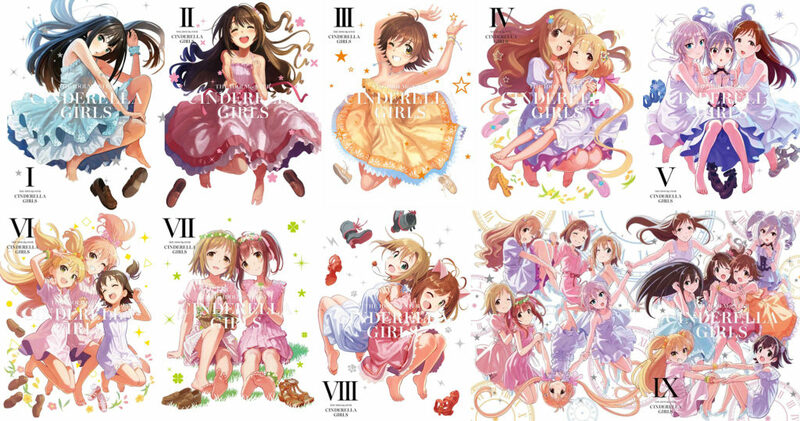 All the covers after that, though… Those sure were a struggle, to say the least. Not to imply it wasn’t fun working out the best way to do them, but yeah… Things get a lot more difficult when you can’t just get all the characters lined up nicely and call it a day. — You were in charge of the second season’s key visual, weren’t you Akai? Akai: Takao had a rough sketch prepared for that as well, but I’ll be honest here and admit that I barely remember working on it since it got thrown at me in-between some other work, haha. If memory serves correctly, then I basically just toned up her sketch and handed it over to Matsuo so he could go over it. …Oh, speaking of which. Which character’s your favourite design-wise? Matsuo: Design-wise? Hmm… I can’t say I did a good job with any of them, to be quite honest. Come on, you gotta give me one name at least. — Well then. (Laughs) It’s about time for us to wrap this up, so allow me to do so by asking your thoughts on how the show turned out. Akai: Hmm, how do I put this… There was some initial concern regarding how it’d turn out when Nishigori made it clear he didn’t want to be involved with it, but that concern eventually evolved into the desire to make something that’d leave him feeling jealous of our work. I can’t say for sure whether or not we accomplished that, but it was a great experience that I was glad to be a part of nevertheless. Matsuo: I still haven’t really settled on how I feel about it overall, but there’s bits we did well and bits I feel could’ve been handled slightly better, to say the least. Dereani‘s over and done with now, but Cinderella Girls and Starlight Stage are still going strong, so it’d be nice if everyone keeps up with them! Matsuo: Wait, that isn’t what I was going for! (Laughs) I’m just saying that as a fan of the games myself. That’s why I was more than pleased to have been granted the opportunity to work on this adaptation; it’s an experience that’ll most definitely serve me well in the future. First we have Nishigori trashing his own work, and now Fugo the god saying he can’t draw. These art people, I swear! Now if you’ll excuse me, I need to go back to looping the Cinderella Girls 3rd live digest over and over again. See you next week! Support us on Patreon so that we can keep producing content like this, and move the entirety of Sakugabooru to an independent server. If you’re interested in purchasing the Cinderella Girls Complete Fanbook, then you can do so either here or here.